Trimmable 2.5" x 17.25" shaft with 11.75" carved leg. Toe pad on bottom of foot. This Queen Anne High Boy Column has the cultured, polished quality of 18th Century French Provincial style. 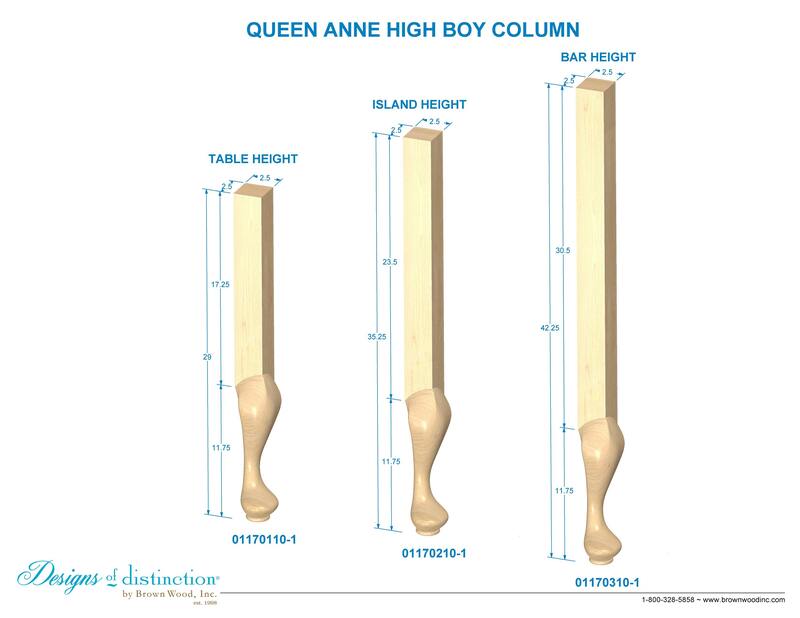 Give your vanity, furniture piece, or table an antique feel with the Queen Anne High Boy Column. Easily build a buffet, sofa table, end table, or nightstand.